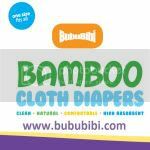 .Lately, we notice that there are increasing demand in our Mama Cloth. 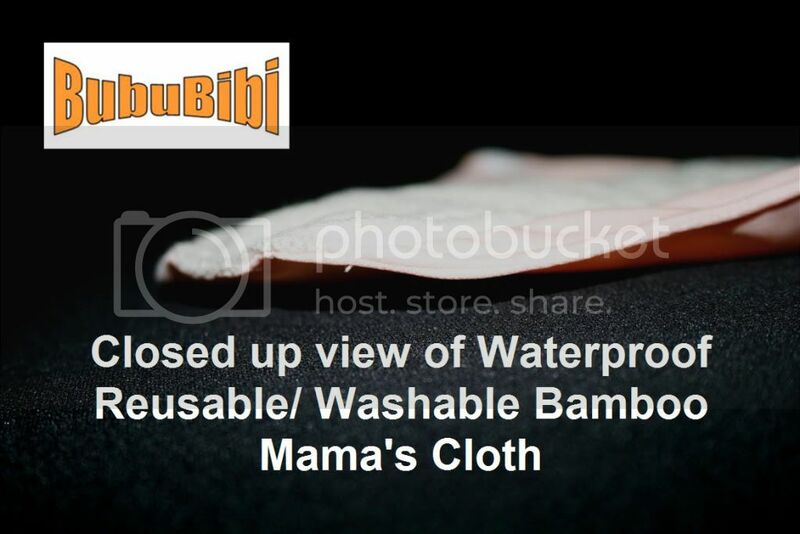 So, we did some research to help share benefits or pros and con of using Mama Cloth and especially our BubuBibi Bamboo Mama Cloths. Most of them last about 2 hours for the regular pads but it is pretty much the same for the disposables as well. 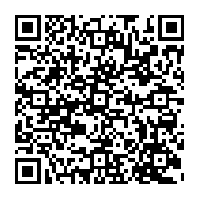 Here are the Pros and the Cons. 1) Less Period - According to a lot of people (No supporting facts, sorry), a lot of people claim that they have less period using the Mama Cloths as compared to the tampon or the disposable sanitary pads. According to most of them, it says that it is because the body is receiving less chemicals. Again, there are no supporting facts, just reviews from our customers. 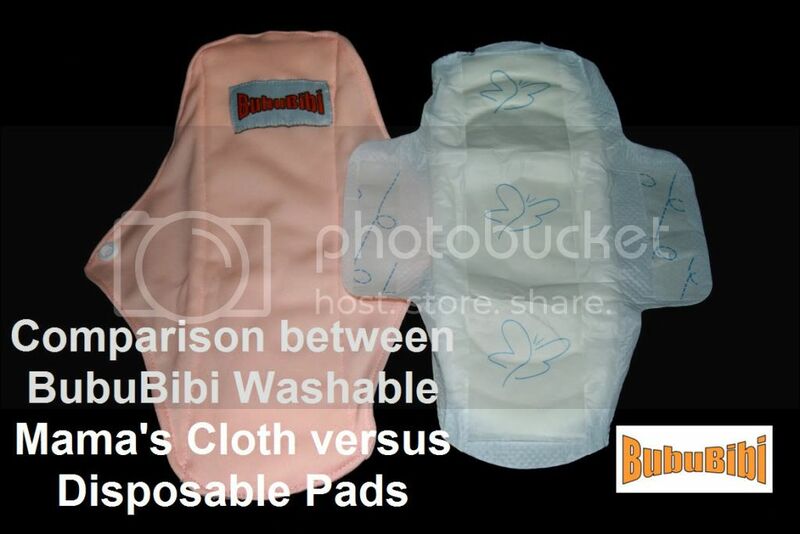 2) Cost saving - We go through many pads each cycle but with the reusable mama cloth, we can now rewash them over and over again and in the long run, it does save some $$$. 3) Go Green - Environmentally friendly. We throw billions of sanitary napkins into the landfil. Instead, we can go green and be a little more environmentally friendly. 4) Comfortable - These mama cloth are made with soft bamboo rayon, they are the same material used for our cloth diapers used on our babies. Unlike the plastic pads, they are not sticky and crinkly or the tampons that hurts for some people. 5) Less smell, sweat - The cloth absorb even the sweat from us but it is harder for plastic to do that. Due to that, it reduces the smell as well. Not all people experience this but some do. 6) Cute Prints - Just like the underwear, there are some really cute prints that comes with it. 1) Laundry - Most people prefers to wash the mama cloth separately and it takes many to wash a load or we'll have to wash smaller loads. 2) More initial investment - Each pad can cost anywhere between $3-8 each depending on the brand and we need quite a bit to start, therefore, the initial investment would cost more. 3) More work - Unlike the disposables, you just toss it out but you need to wash the mama cloth. With that being said, I guess it really depends on the preference and what works. Some people actually does both, just like cloth diaper. 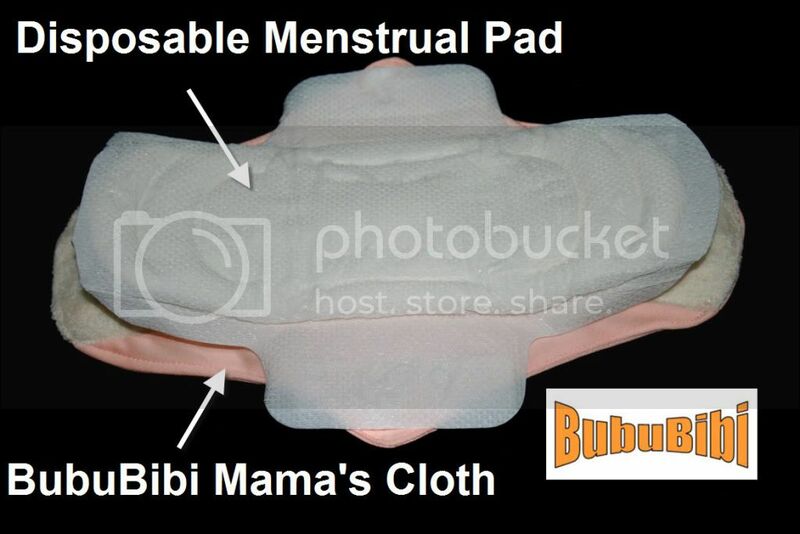 When they are home or at work, they just use the mama cloth and when they are out, they use disposables. So, hopefully the about would give you more ideas about what works for you. 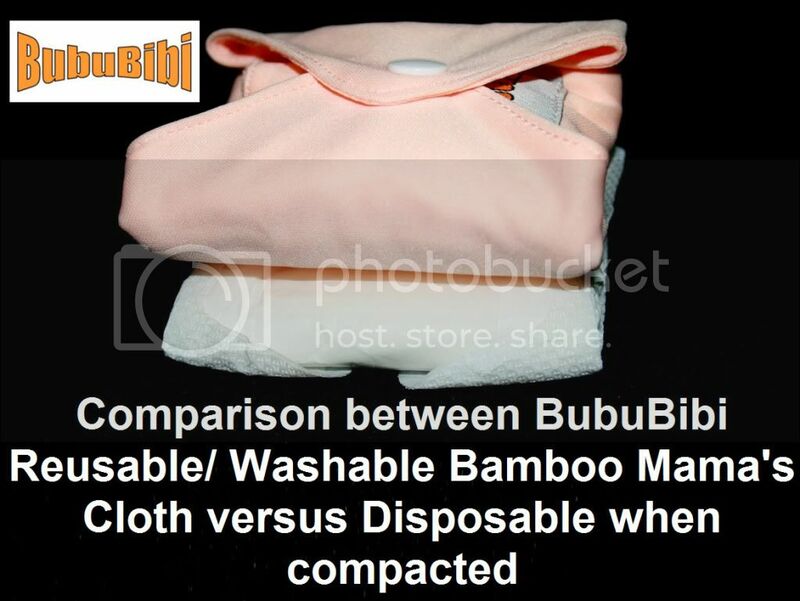 If you are worry about the bulkiness, please do not worry, here are the pictures to show you the comparison between disposables and the BubuBibi Mama Cloths.